Jim has a Civil Engineering degree and an MBA from University of Milwaukee. 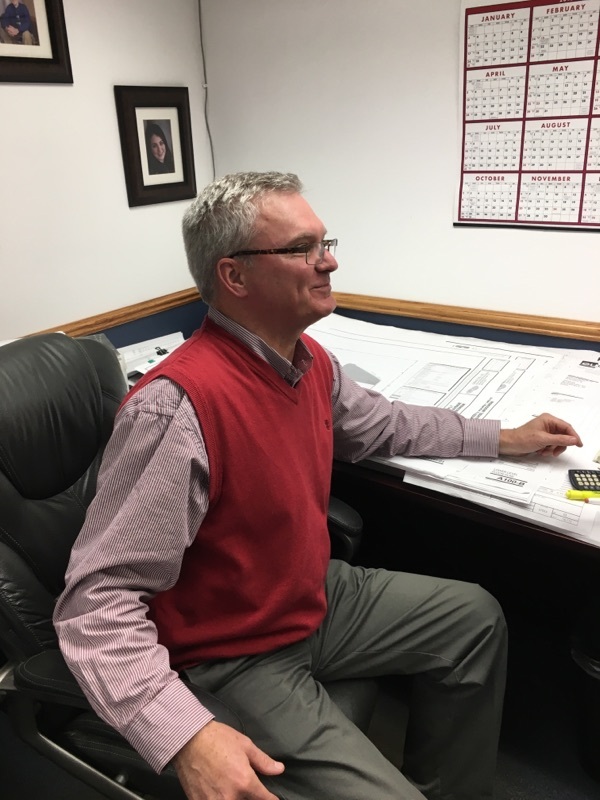 He has worked at Ace Iron & Steel as a Project Manager and an Estimator since 1999. In early 2003 he was named President. Jim oversees the day-to-day operations of the company and still does project managing and estimating. Ryan is the newest addition to the office staff at Ace Iron & Steel Corp. He started off in this industry as a welder/fabricator. While attending trade school in 2010 he won an AWS welding competition. 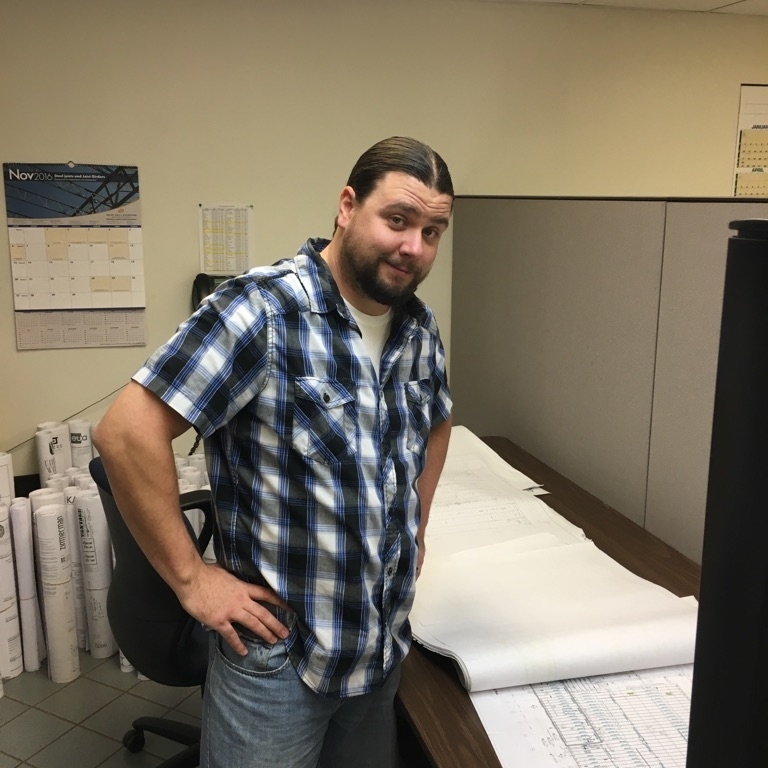 He has worked his way up from a shop employee to a full time estimator/project manager. Along with his estimating, and project manager duties he is responsible for all the programming of the Messer Edge Max burning table. Graduating with an architectural drafting degree back in 2003 he is also able to detail projects as required. He just recently received a Hunzinger Q3 award for excellence for his work on the Sendik’s West Milwaukee project. Bill is the newest addition to the office staff at Ace Iron & Steel Corp. He comes to us with an educational background in Architecture, Structural Engineering, Urban Planning, Construction Management, Computer-Aided Drafting, Business Management & Marketing. Most of his experience has been in Project Managing, Estimating & Detailing structural and miscellaneous steel for Commercial and Industrial projects. He has extensive knowledge in the construction industry along with plate-work and field measuring with traditional methods and advance 3D image scanners. Bill has certifications in Faro Scene, Advance Steel and OSHA-30. Mark has worked for Ace Iron & Steel for over 37 years. He started working part-time while in high school. Having learned the business from the ground up, Mark was promoted to Shop Foreman in 1992. In addition to supervising the welding crew, he oversees all receiving and schedules deliveries to our customers. Blenda is usually the first person you talk to when calling Ace Iron & Steel. She has worked in the construction industry since 2010 and in office management for 30 years. In 2013 she became our Office Manager.